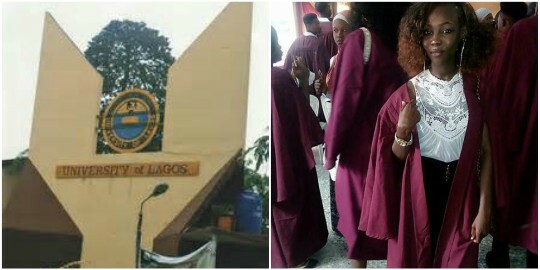 A 100level student of Employee Relations and Human Resource Management of the University of Lagos, decided to take her life after being disgraced by her room mates. 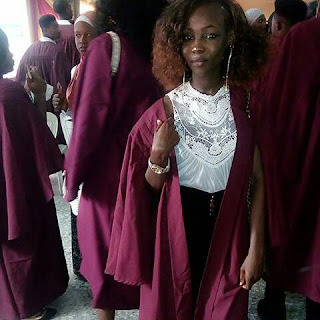 The girl who has been identified as Ayibiri Ayomide, allegedly took sniper (insecticide) after her room mates disgraced her publicly after some missing items in their room, was found in her bag. "With a disheartening heart, we write to inform you of the Demise😭 of Ariyibi Ayomide, a Student of Unilag, From the faculty of business administration in department of Employee Relations and Human Resources Management (ER & HRM), 100 Level. Full story: An incident happened in her room (Amina Hostel) which involved the missing of belongings (which includes make up and clothes) of another girl in d same room. On Thursday, some of the belongings of d fellow room mate was found in Ayomide's bag ( scattered in three different bags - make up in one of of her bag, clothes in another bag and clothes in another bag making 3 of Ayomide's bag). As a result the roommates disgraced Ayo and called her many names( relating to a thief) and disgraced her publicly. Ayomide called her mum and her mum came down next day( Friday) to settle d issue. The make up was valued at #2000 in which Her mum paid. After that, her mum told her to pack her bags and follow her home which she did but as she was going d room mates shouted on her and called her so many names. Her mum took her home and went back to work (her mum is a unilag staff). Ayomide was d only one left at home when she took sniper in the afternoon. Her mum came back in d evening and saw her child in a critical state. So she asked what happened to her; Ayomide just stretched her hand to do bottle of d sniper she took. Immediately her mum gave her palm oil( epo in yoruba) but results were not forthcoming. So she rushed her to a medical centre at ebute metta, still results were not favourable, she was then taken to Luth ( Medilag). Ayo gave up in LUTH around after 7 yesterday.